Each reader contains a three page introduction. For the novels and plays this gives information about the author and the era in which they were writing. 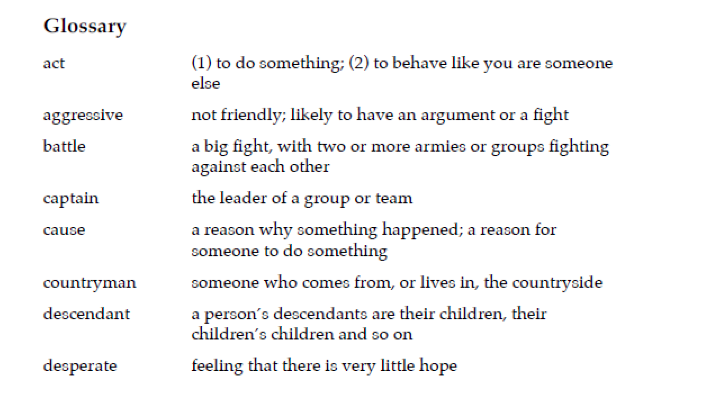 This context can be helpful for classroom discussion of issues that the stories touch on. The introduction also contains a brief outline of the plot. 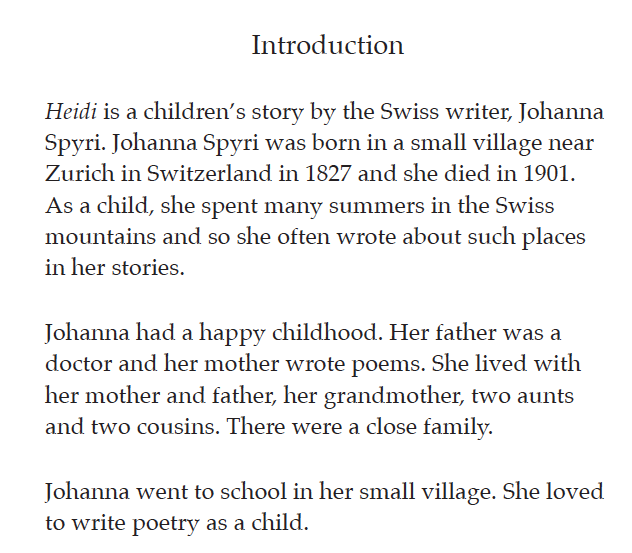 Where the reader is a collection of short stories, the introduction gives a brief outline of the plot for each story. Each reader has been condensed into 10-11 chapters, which correspond with focussed activities found at the back of the reader. 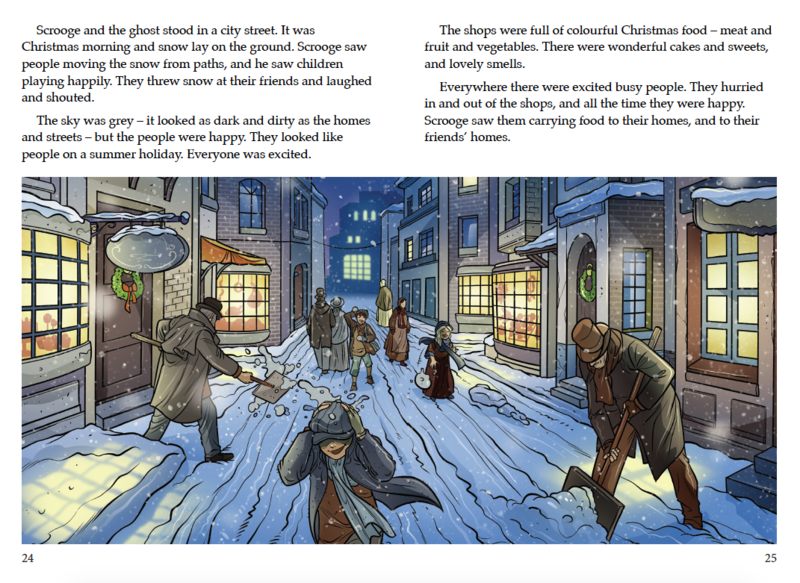 The readers contain lots of colourful illustrations which will keep the student’s attention as well as help them to understand elements of the story. 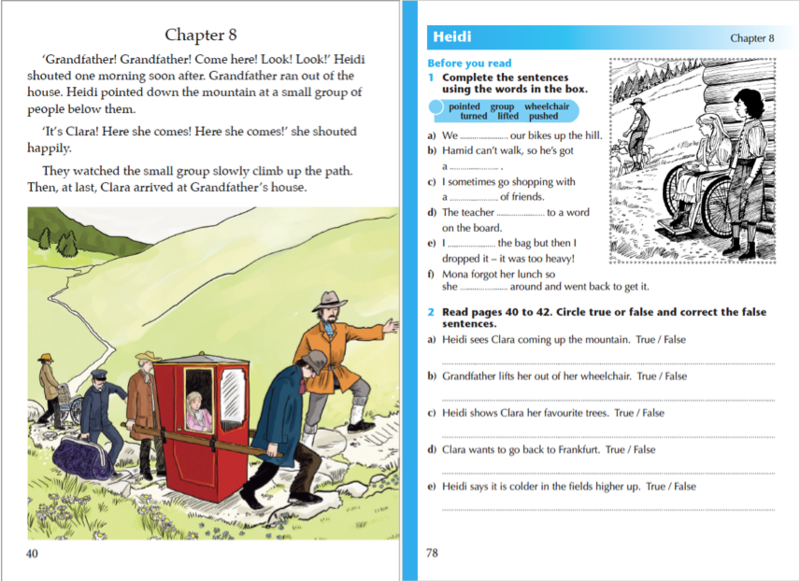 New and above level vocabulary can be found in the glossary at the end of the book, alongside brief definitions of the meaning in language that students can understand.